As July came, the students and faculty from the Physical and Occupational Therapy prepared for the annual National Disability Prevention and Rehabilitation week. 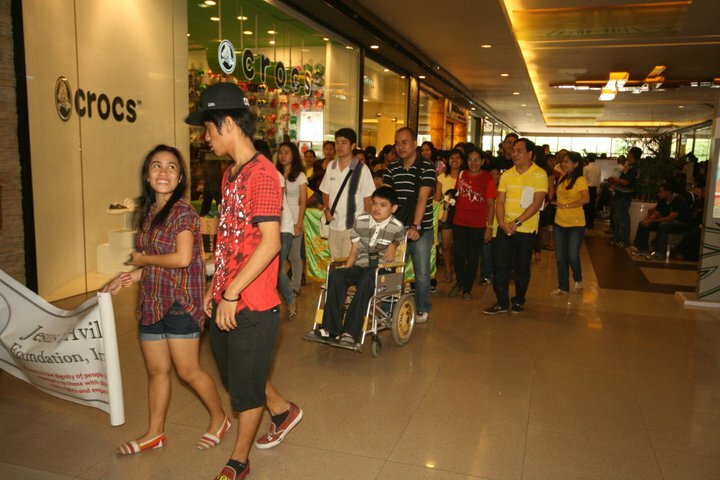 This year it focused on “Making the Rights for the Filipinos with disabilities” as its theme. Last July 17-23, 2011, the 33rd NDPR week was celebrated and it was officially opened with a mass held at the North wing area of SM which was followed by a parade inside the mall. There was also a gallery displaying different artworks of talented PWD’s (people with disabilities). A forum and a job fair were also held for the PWD’s. Other activities during the week were the Best Buddies Friendship Walk in Plaza Independencia, Medical and Dental missions in Mabolo. They also had activities at the Cebu City Sports Center. They had their Fun Walk and Larong Pinoy which were conducted by the 3rd year students and faculty of the PT department of Velez College. They played games like day and night, tug of war, sack race and etc. Although the games were meant to be enjoyed by the PWD’s, the students were able to play with them as well. On the other hand, the 3rd year OT’s had their feeding in Sambag II. There was also an activity held in Velez College. The scoliosis screening was conducted by the 4th year students and interns from the PT department. The goal of this celebration was to stimulate the awareness on the disability issues and strengthen the involvement of the government and non-government organizations. It also aims to encourage the Filipino citizens to take active responsibility on the upliftment of the economic and social conditions of the persons with disabilities. As students of the allied medicine, we should take our responsibilities in making people realize that there are still other people besides us who are in need of attention. We should help in changing our fellow citizens to be more understanding of our surroundings. But in changing other people we must always start the change within ourselves.